Engageny has posted sample questions to reflect the structure of the upcoming assessments. During a staff-development session in December, I shared with colleagues words from these test samplers that I thought would be challenging for students. As we get closer to the assessments, I am sharing these words again, here. How many of these words would your students know on their own? 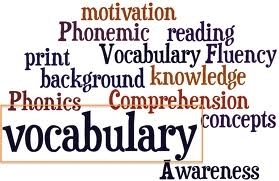 Are we reading enough to build students vocabulary and prepare them for the challenge ahead? What strategies should we be integrating to get students ready for the rigor of the new assessments?